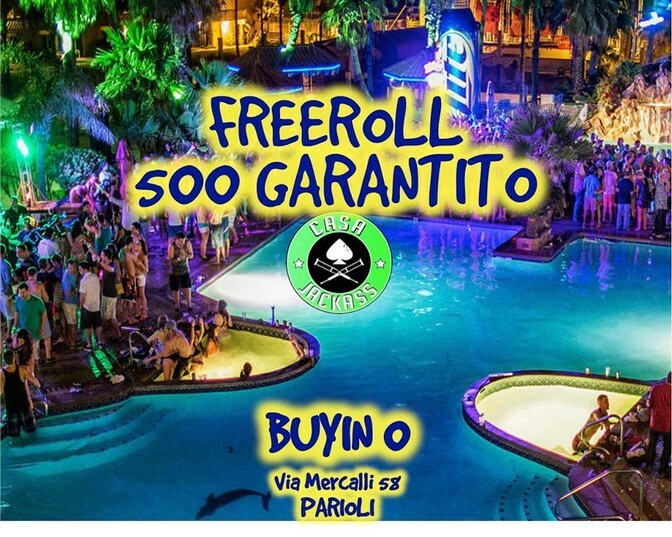 CASA JACKASS - FREEROLL 500 GARANTITO - GIOCA GRATIS! - Texas Holdem Poker - Tornei Live di Poker a Roma. CASA JACKASS - FREEROLL 500 GARANTITO - GIOCA GRATIS! - Addon dall' 8° al 10° lvl - 75.000 A SOLI 10€! !